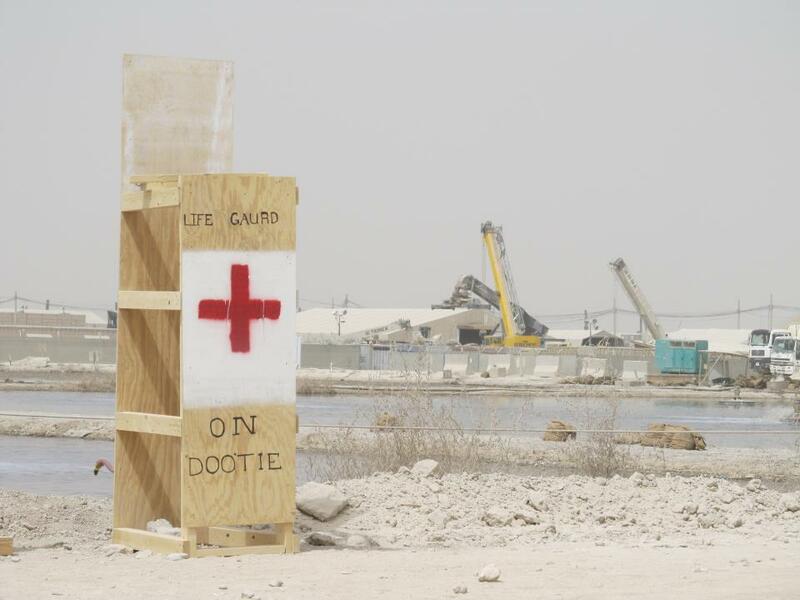 Efforts to close the notorious “Poo Pond” at Kandahar Airfield have hit a snag, and that means the soonest it will be shut down is mid-2013, according to a news release. In September, the folks at Kandahar Airfield announced that the super-sized cesspool was being drained and most of it would be gone by early winter. “Newcomers to KAF in April 2013 will have no idea the Poo Pond was ever here and they’ll have no idea what the pond ever looked like,” a NATO spokesperson said at the time. But on Tuesday, the airfield issued a news release that the new wastewater treatment plant that will replace the Poo Pond is not yet able to process commercial cooking grease and oil waste, so the pond would have to be used longer than expected. “It continues to receive Kandahar Airfield’s commercial kitchen grease and cooking oil waste as well as the waste material from the airfield’s 1,800 portable toilets,” the news release said. Moreover, the new wastewater facility can only handle 25,000 people and there are currently more than 30,000 folks at Kandahar Airfield, the news release said. “If the number of residents on Kandahar Airfield drops early next year and the mechanical grease separator is installed, it’s likely the residents on Kandahar Airfield in spring will witness the end of an era – the long-awaited closure of the Poo Pond around mid-2013,” the news release said. However, the new wastewater treatment plant was originally approved in 2009 but the project has been fraught with delays. “Construction could have begun sooner had not the site initially identified for the plant been allocated to an urgent operational requirement resulting from troop surges in late 2009/2010, making it necessary to identify another suitable site,” a NATO spokesman told Air Force Times in June. The Poo Pond was originally slated to be closed in 2011, but it has stubbornly clung to life. “The intent remains to close Poo Pond – it is just not happening as fast as we thought it would,” a NATO official said in Tuesday’s news release.